June is still a month you hardly find any Armenian Gulls in Israel, but from mid July the Armenian Gulls start to return to Maagan Michael and to the Beit Shean Valley. First birds to arrive at the wintering rounds are first calendar year birds: out of 100 birds in mid July about 80% are 1cy and the remaining 20% are 2cy birds. Towards the end of July the numbers reach about 250 birds, and now the distribution is: 50-60% are 1cy, 30% are 2cy and the rest are 3cy Armenian Gull. By the first week of August the numbers grow to about 400 birds and the distribution among age-classes remains approximately the same. However, from early August onwards, the first adult birds are seen as well. For July, no scorings yet. 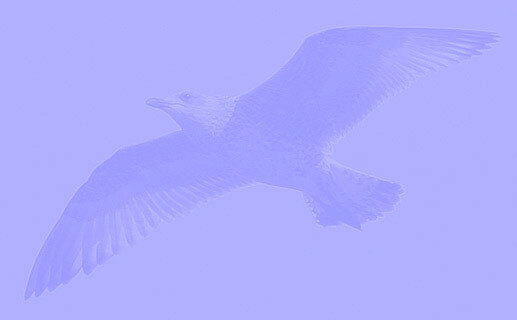 Larus armenicus hardly present at locations in Israel. Larus armenicus 2cy July 09 2010, Nachsholim / Maagan Michael, Israel. Picture: Amir Ben Dov. Larus armenicus 2cy July 22 2011, Maagan Michael, Israel. Picture: Amir Ben Dov.